At Emprise, we forge strong relationships to ensure that we become the partner of choice, ensuring transactions are well executed. Most importantly, we focus our investments in opportunities through which we can leverage our experience and relationships, and take an active role in management, all with a view to building shareholder value. Public and private companies alike come to Emprise because we provide more than just financing and information, we provide real-time insight and pro-active management and we minimize risk to one of execution as opposed to market acceptance. Geothermal heat pump manufacturer for residential and commercial applications. Comprehensive restructuring, financing and active management by Emprise. Sold to Modine Manufacturing Company, a NYSE listed company. Complete restructure and reorganization completed by Emprise. Arena Minerals has completed a change of business transaction and is now a Tier 2 mining issuer with a resource project located in Chile. 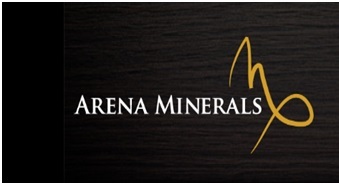 Arena Minerals’ primary focus is exploring for high profile deposits within its property package within one of the most prolific mining jurisdictions in the world. AnalytixInsight operates through its wholly owned subsidiary, CapitalCube. CapitalCube, through its online portal www.capitalcube.com, provides high-quality financial research and content for investors, information providers, finance portals and media. The company's disruptive technology algorithmically analyzes market price data and regulatory filings to create insightful, actionable narratives and research on approximately 45,000 global companies - all available as a cloud-based SAAS offering. This platform capability is extensible to other assets classes and sectors to generate insightful research reports. OMT is a digital media content and technology solution provider to radio broadcasters across North America and Internationally. OMT's core products include the iMediaTouch Radio Automation System and Radio's Number One Selling Digital Logger, iMediaLogger. Complete restructure and reorganization by Emprise. Publicly traded company that has completed over $200 million in financings since completion of the restructuring, and is now an active exploration and development company with an iron ore project that is slated for near term production. Complete restructure & reorganization of the predecessor shell company by Emprise. Formerly a publicly traded restaurant/franchise, restructured by Emprise to become Gold Wheaton Gold Corp. Gold Wheaton completed financings in excess of $600 million before being acquired in 2011 by Franco Nevada in a transaction valued at approximately $1.1 billion. Savary recently graduated to Tier 2 as a mining issuer and is now focused on exploring the South Houndé Gold Property in Burkina Faso. The property is in the Birimian Greenstone Belt, which hosts a number of operating gold mines (including Semafo's Mana mine) and additional gold deposits that are presently subject to extensive exploration efforts (including Avion's North Houndé Project and Sarama's South Houndé project), which is adjacent to Savary's Gold property. Dunnedin Ventures is a Canadian based diamond company focused on exploration and development stage projects in Canada. Formerly a publicly traded company selling pharmaceutical products, now an Oil & Gas Issuer trading on Tier 2 of the TSX Venture Exchange. Complete financial and management restructuring by Emprise. Publicly traded company that, during our continued involvement, has been completely restructured in every aspect of its business, and is now a web based loyalty solutions provider. Ackroo's online and in-store loyalty program options provide a blend of stored value capabilities and diverse loyalty incentives, arming customers with their very own 'private currency' and the flexibility to create customized loyalty programs. Formerly a publicly traded company selling point of sale terminals to the restaurant industry, now a publicly traded company actively pursuing new business opportunities in the resource sector. Formerly a publicly traded travel agency, restructured by Emprise to become a publicly traded natural resource exploration company with projects in Canada and Peru. Unique personal telecommunications gateway company acquired by Emprise's LP in 2009. Fully restructured and managed by Emprise. Sold in 2011. Formerly a publicly traded medical diagnostics company, restructured by Emprise and now a Vancouver-based mining investment company whose primary focus is to acquire and develop companies with active or near production high quality coal reserves, in the US Appalachia coal region. Formerly a Capital Pool Company, now a resource issuer active in gold exploration in Tanzania. Emprise provided directorship, accounting and CFO services. A BC based public exploration stage company, bridging mineral exploration and development opportunities in Eqypt with advanced Western technology and financing. Emprise was engaged in all aspects of the company, from provision of accounting and CFO services, to assisting with raising of capital and corporate structuring prior to the company going public. Capital Pool Company. Emprise provides directorship, senior management and accounting services. Currently pursuing new business opportunities in the resource sector. Currently pursuing new business opportunities. NeutriSci is a leader in the distribution and marketing of science-based and clinically proven nutraceutical products. The Company has developed a North American wide distribution network as well as an established portfolio of proprietary nutraceutical brands. 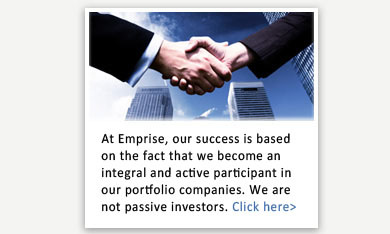 Emprise assisted with going public transaction and provides, CFO, accounting and administrative services.